A smiling trio of East side tamariki at the inaugural Wai Kai Free Family Fun Day held at McJorrow Park on Saturday included, from left, Manu Ropiha, Germaine Moeau, and Rose Haira- Harmon. 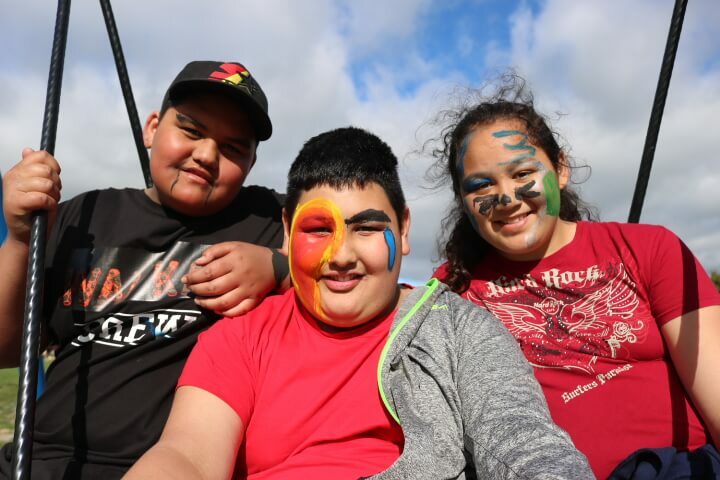 The faces of smiling children at the inaugural Wai Kai Free Family Fun Day held in Masterton on Saturday, are the real reward for organisors, they say, who along with supporters are responding as a united community to decades of unmet social needs on the East side of the town. 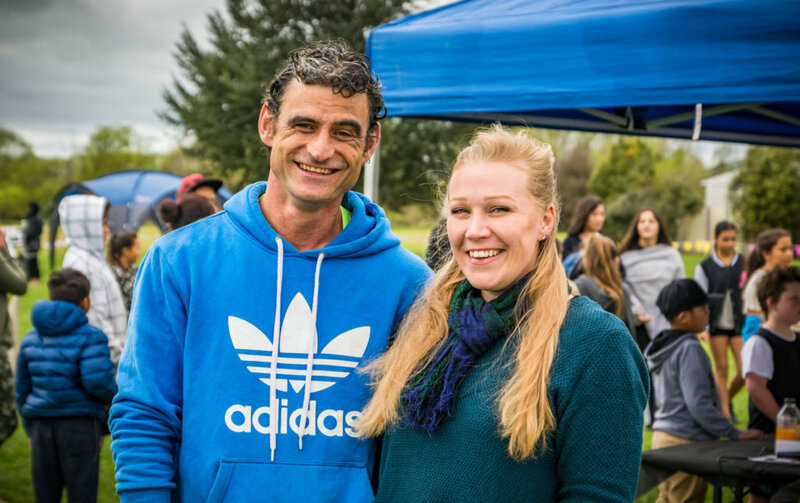 Organisors Samantha Parker and partner Mike Mcrae, president of the Wairarapa chapter of the Nomads, were overwhelmed on Saturday by the unexpected turn-out of hundreds of children and their families at the all-day party, held in McJorrow Park in Cameron Crescent. The couple said they were heartened as well by the many smiles lighting up the faces of children at the event. Organisors of the Wai Kai Free Family Fun Day, Mike Mcrae and Samantha Parker. “Yeah, the smiles were all the reward we really needed, for sure,” Mr Mcrae said. The couple were also overwhelmed by the support of a corps of community agencies and businesses from throughout the town that had supported the staging of the event through donations of food, equipment, games, and activities. Sponsors included Te Awhina Cameron Community House, Masterbowl, Masterton Toy Library, Masterton Cancer Society, Dr. Septic, Wairarapa Hire A Star, Wairarapa REAP, Connecting Communities, R.A.T.S (Riders Against Teen Suicide), Maori Women’s Welfare League Masterton, and newsnet.live wairarapa. 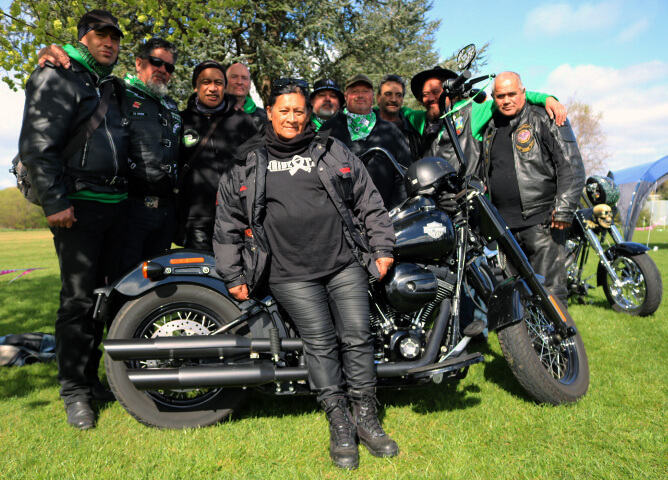 Mr Mcrae said the involvement of the Nomads, Te Awhina Cameron Community House, Connecting Communities, the R.A.T.S riders, was evidence of the Masterton community representatives and agencies standing up, without flinching, to face their own challenges. Two years ago the couple were first to the scene of the suicide of a 15-year-old close family relative of Mr Mcrae, at an East side home, and the involvement on Saturday of the R.A.T.S riders had particular significance, he said. 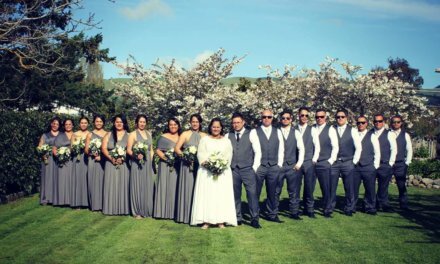 He said Wai Kai, as a group of Masterton families, also recognised this same greater need within the East side community of families, and Masterton, and had reached out “for support on these issues, to bring them to light”. “Nomads, and other people that have lived and seen these very struggles, stood up for those families to bring awareness of the East side area to the wider region through the Wai Kai Family Fun Day,” he said. “We saw this as a way for the community to unite and bring smiles, while supporting great causes, including the prevention of teen suicide, issues like depression, and to highlight the work of organisations like the Cancer Society. 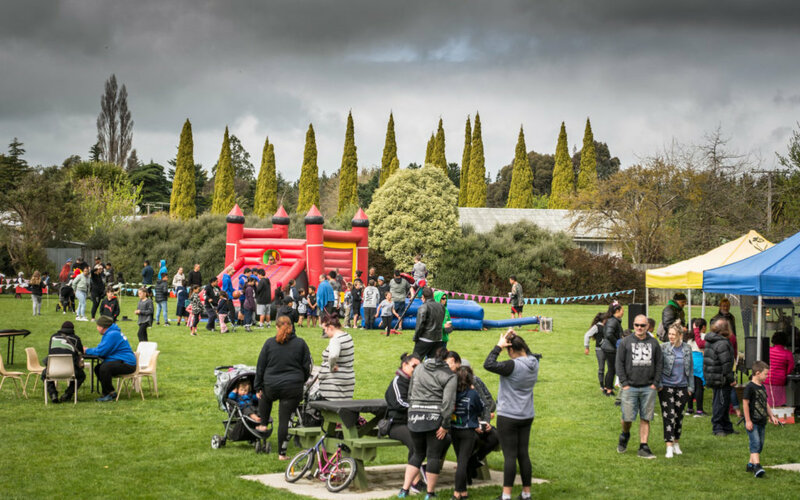 Some of the hundreds of children and families who attended the Wai Kai event at McJorrow Park on the East side of Masterton on Saturday. Mr Mcrae said he hoped the event on Saturday will become annual, and there were “other plans we have, and ideas for other event” in the near future. Ms Parker thanked the sponsor organisations and businesses for their “vital” support, which had helped create a successful and memorable inaugural event on Saturday. She said Wai Kai was a new small business formed among 12 Wairarapa families and “upon people creating a movement”. “We saw a niche in the market for takeaway traditional meals that are affordable, wholesome, and family oriented. Meals that we know will work in our community, as well as being meals needed by our community. “Wai Kai has deeper roots than the average eye would realise, and is an absolutely positive move for Mike in a community that he really come to care about,” Ms Parker said. Members of the Tribal Nations Aoteroa (Riders Against Teen Suicide) Motorcycle Club at the Wai Kai event, where some children took their first ride on a Harley-Davidson. Darcy Tilyard, R.A.T.S rider and longtime Masterton resident, said he personally believes Mr Mcrae and Ms Parker, are helping to meet the needs of families and residents of the East side community, an area of the town that has endured decades of acknowledged disadvantages that are unfair and undeserved. 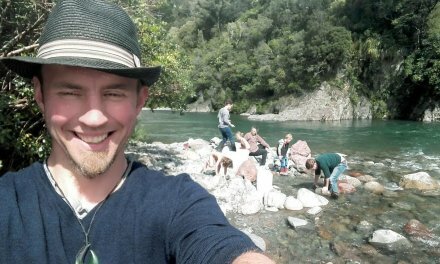 “The people like, at the moment the Nomads, are changing their ways, and their president Mike Mcrae is turning this place around, and making it child-friendly. And we’re here as Tribal Nations to tautoko that kaupapa (support that principle). 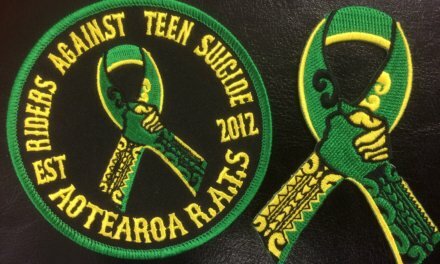 “We’re all about (preventing) teen suicide, and raising awareness around our tamariki, and we want them to grow up strong and intelligent. And the only way we can do that is by showing them other options, and showing them that yes, there’s a life outside ‘the block’. “And showing the parents too that other people care about their kids. 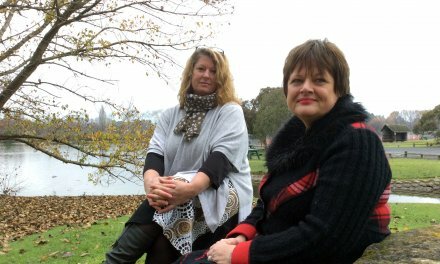 “We’re here to tautoko Mike Mcrae, because he’s turning things around, he’s turning the Nomads around, and they’re doing something positive, and that’s really good for this community and it’s good for these children,” Mr Tilyard said, waving his arm toward the children playing and laughing around us.